You have professionals working for you, cracking Google’s search algorithms; you have the best in the market SEO optimizer and you are also spending bucks on content marketing, always choosing the right keywords for your WooCommerce website but still you are not able to increase your Google ranking. The thing you are missing is optimizing your images. 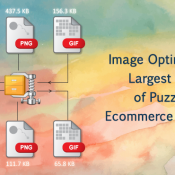 Image optimization can be a boon for your website, if your WooCommerce development company has enough knowledge to implement at the first time.